I never give my opinion about a cosmetic product based exclusively on my own experience, because I know very well that something that works for me may not work on other skin types, or that if I hated something it may only be because I’m not using it properly. So I read pretty much all the(worthy) reviews that I find, to keep me informed and to see other points of view. I’m usually quite skeptical when it comes to “miracle” products, so despite all the rave around BB Creams I haven’t tried any yet. My opinion on them is only based on what I’ve read- but believe me, that was a lot of reading:). 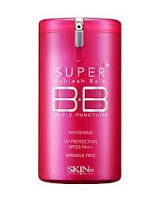 Also, I’m only going to write about Asian BB Creams, since apparently European and US brands are only selling overpriced tinted moisturizers, labeled as “BB Creams”. 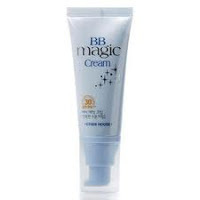 Some people complain about clogged pores and breakouts while using BB creams. This can be because of the ingredients in the cream, but it also might be because of using it inadequately. It might look like foundation, but it’s still a cream and must be used accordingly. Not with a brush, not with a sponge(they both use too much product), but with your fingers and using small amounts. It’s not supposed to be built up on the skin, so if you feel the need for more coverage, just add concealer or powder, where needed. 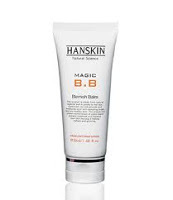 It has strong(good) effects on your skin, however too much might be too strong. And for the same reason it’s very important to properly cleanse your face at the end of the day. It’s quite hard to get off, and because it looks so natural you might not even realize you still have some of it on your skin. I believe this is one of the main reasons for breakouts. 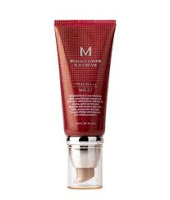 What consumers say: medium coverage, minimizes pores, smoothes the skin, good oil control, cute bottle:), only suited for pale/light skin tones. What consumers say: medium coverage, easy to blend, very good lasting power, good oil control. What consumers say: light to medium coverage, easy to blend, medium oil control, comes in a darker shade than most BB creams. What consumers say: thicker than other BB creams, light to medium coverage, medium oil control, suited for pale/light skin tones. Later Edit: I forgot to specify this: one of he main reasons for my reluctance are the whitening ingredients in most of these creams, after reading some horror stories about whitening creams. Also, I’m not sure if many of the other ingredients are meant to be used for a long period of time. The gels/creams that inspired the creation of BB Creams are used by dermatologists, for a faster healing of skin scars after surgery-this means only a couple of months of treatment.